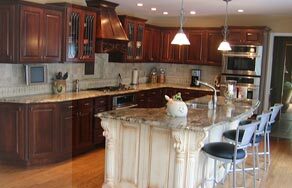 Family owned and operated since 1976, bringing you the absolute best in custom cabinetry, countertops, and more. 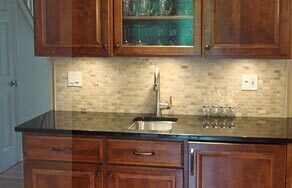 Taylormade has decades of experience in kitchen & bath design and remodeling.With a team of expert craftsmen, there’s no wonder we have thousands of satisfied customers in the Naperville area. 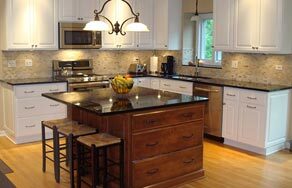 In addition to custom cabinetry and cabinet refacing, Taylormade also offers full kitchen remodeling. We do our own installations without subcontractors to keep costs down. Our photo gallery has examples of work designed and built by Taylormade. Or visit our Naperville Showroom by scheduling an appointment today.